Comm Eye Health Vol. 18 No. 56 2005 pp 128. Published online 01 December 2005. In many health care settings in Africa, motivation tends to be closely associated with financial incentives. 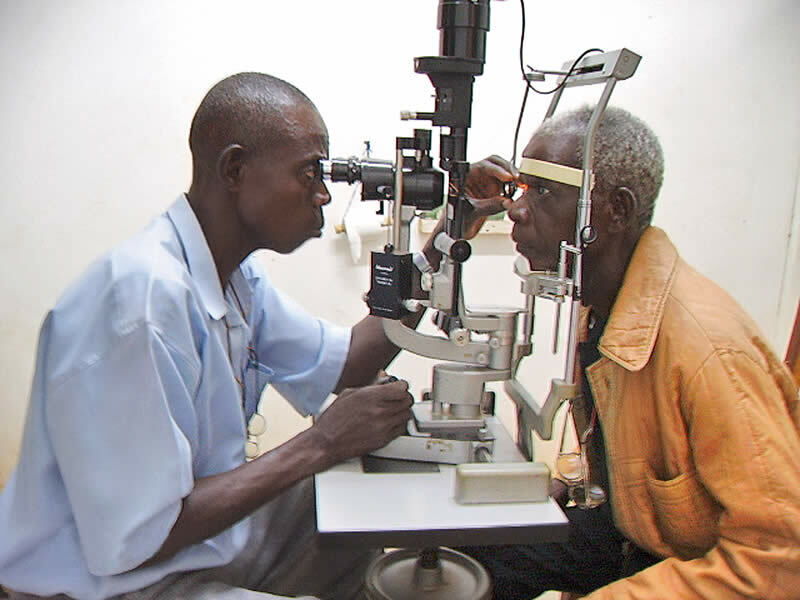 In our eye care programme in northern Ghana, we have developed a different concept of motivation that we find more sustainable and mutually rewarding to both workers and management and, consequently, the entire programme. We perform some 3,000 operations annually, and we have focused on building the skills of our ophthalmic nurses beyond levels normally required in practice here. 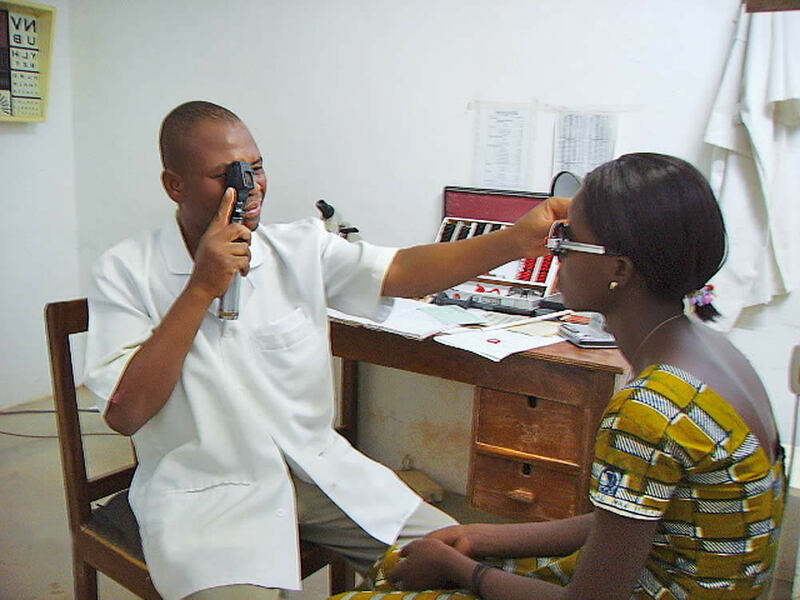 In the outpatient department this has included use of the slit lamp in quantitative and qualitative evaluation of anterior and posterior segment changes, applanation tonometry, visual field assessment and retinoscopy. We are currently training the more experienced nurses in indirect ophthalmoscopy and biomicroscopy for fundus examination. In the theatre, nurses do a wide range of minor operations and also give most of the ocular anaesthetic. With this level of training, the ophthalmic nurses perform competently in both pre-operative assessments and post-operative reviews of uncomplicated cases. This frees the hands of the ophthalmologists from managing common refractive errors and red eye conditions and also frees up theatre time, allowing him or her to concentrate on the more serious cases and surgery. This may seem unorthodox to many surgeons, especially those in the large teaching hospitals, but is not uncommon in many developing and developed countries. During my recent visit to the United Kingdom, I saw nurses competently using sophisticated equipment at every level of eye care management. The most important thing is to identify the skills deficiency and design appropriate solutions. In a recent qualitative study in our unit, nurses found motivation to be the most important reason for being part of the programme and this was attributed largely to training and recognition. What we need to do is to break the myth around ophthalmic instruments and impart more quality knowledge and technical skills to the nurse. This of course must include periodic reviews for quality assurance. In this way, we shall be making our nurses more useful partners in our collective drive to eliminate avoidable causes of blindness by the year 2020.